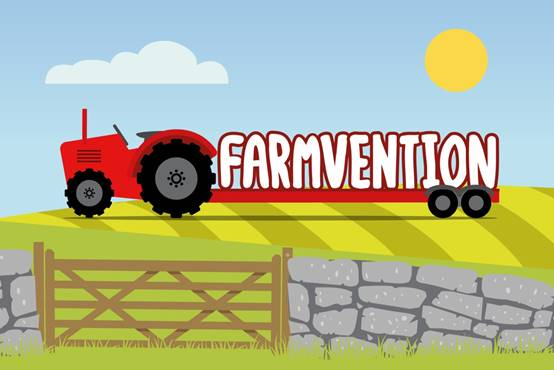 Farmvention, the NFU’s national education competition, has received nearly 600 entries from primary schools who all want to win the grand prize of having their school turned into a farm for the day. The competition, which brings together farming and invention, gives children at primary school the chance to solve three farming related issues – to design a tractor of the future, design an environment for a flock of 100 laying hens, or design a new snack product using British foods – using Science, Technology, Engineering and Maths. The competition demonstrates that farming is an excellent way of engaging children in STEM subjects and of delivering high quality investigative learning resources. Farmvention was developed as part of the NFU’s education strategy which aims to bridge the gap between children and food, farming and the countryside. NFU education manager Josh Payne said: “It’s fantastic to see so many primary schools getting involved in Farmvention and we’ve been really impressed by the creativity and ingenuity shown across entries in all age categories. “Subjects such as science and technology are deeply embedded in farming and teaching children in this context is a great way to help them learn, as well as giving teachers a new and engaging way of delivering their lessons. Entries close at midnight on Friday 21 December. The winners will be announced at the Association for Science Education conference at University of Birmingham on 11 January.